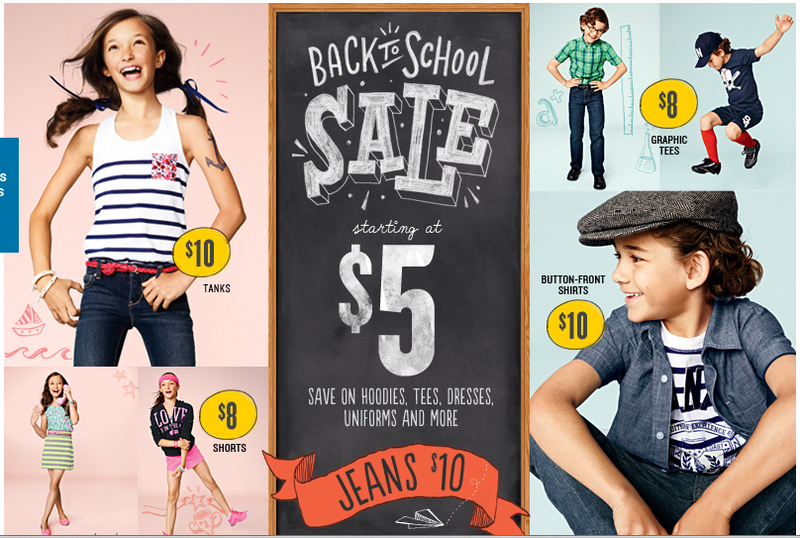 Old Navy Back to School sale: jeans for $10! 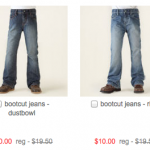 You are here: Home / online shopping / Old Navy Back to School sale: jeans for $10! Old Navy is having a Back to School sale! You can get graphic tees and shorts for $8 and jeans for just $10! Plus all school uniform items are on sale with prices starting at $5! It’s a great time to stock up! You can redeem your SUPER CASH 9/12-9/18/2013. You’ll receive $10 off every $25 spent during the redemption period. You’ll get free shipping when you spend $50 or more. Crazy 8 Stock up sale: prices start at $3.99! Crazy 8 Sale: save an additional 20% off sale prices! 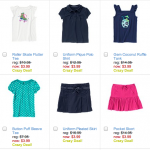 Gymboree, Crazy 8 & The Children’s Place FREE SHIPPING plus coupons! 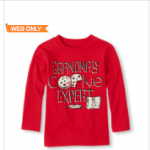 The Children’s Place FREE SHIPPING plus 40% off! The Children’s Place FREE SHIPPING plus 20% off!